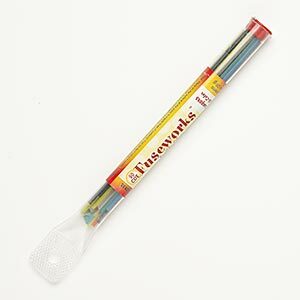 Glass stringers mix, 90 COE, mixed colors, 5-1/4 to 5-3/4 inch round tube. Sold per 0.99-ounce pkg, approximately 20 pieces. Colors can include green, orange, blue and more.